I won’t name names, but someone needs to get her sh*t together and get consistent with her blogging (pardon my French). I’ll be sure to give you guys an update on what I’ve been up to soon, promise! 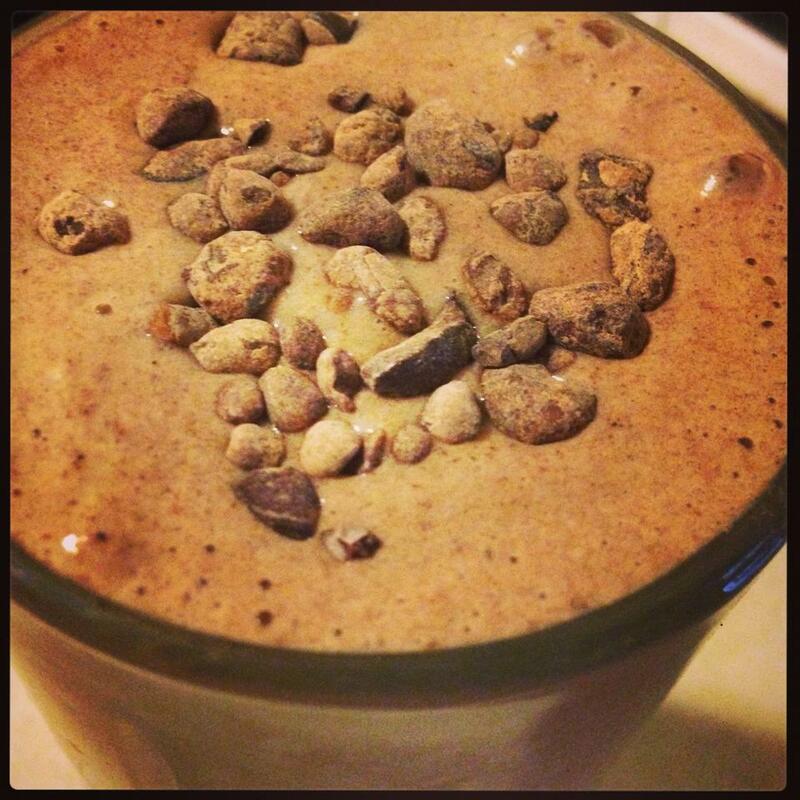 However, it would be a huge injustice not to share this Mint Chocolate Chip Smoothie with you. It came together in my Vitamix last week and I needed to get around to sharing it vs. procrastinating. But first, I want to educate you a bit on one of the optional ingredients: ALFALFA! You may not even have the slightest clue what alfalfa is, and that’s okay…it’s actually one of nature’s most nutritious green plants; the leaves are loaded with chlorophyll, minerals, protein and enzymes + it’s rich in calcium, iron, flavonoids, phosphorous and magnesium. Alfalfa also helps promote alkalinity in the blood. It’s best taken with food for maximum absorption, hence while I love adding it to my morning smoothies. And of course I only use alfalfa from Shaklee, the #1 natural nutrition company in the US. Their products are non-GMO and are free of artificial flavors and sweeteners. Click here to check out Shaklee Alfalfa for yourself. Okay, let’s get to it already – SMOOTHIE TIME! Throw in blender, blend and YUM! I make a variation of this too and love it. It’s amazing how a little bit of mint can make such a big difference in a smoothie. And way to get back into blogging. Keep it up. Can’t wait to see more!